In woodworking: A finish sander that has an orbital motion. 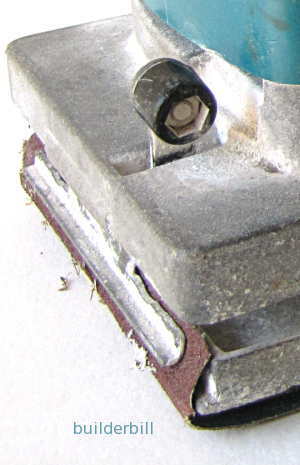 The Makita sander below can have a dust collector attached. It has a half sheet capacity. That is a standard size sandpaper sheet cut in half fits this machine perfectly. All power sanders leave scratch marks and it is just a question of the grade of the paper used and the action of the machine. Sanders that work in a lineal direction like belts sanders and disk sanders are used for heavy work and taking off material fast. As with most things there is a downside to them. They leave fairly obvious scratch marks on the surface of the material. Enter the orbital or finish sanders. 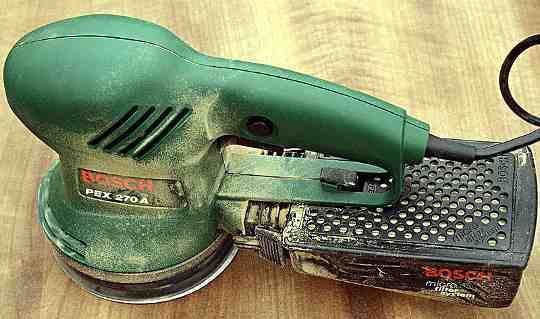 As the name implies the sanding action is in a circular or orbital direction. The thing is these circular orbits are very small at around 2mm diameter and as they extremely fast at 11,000 orbits per minute then the marks that they make are very fine. 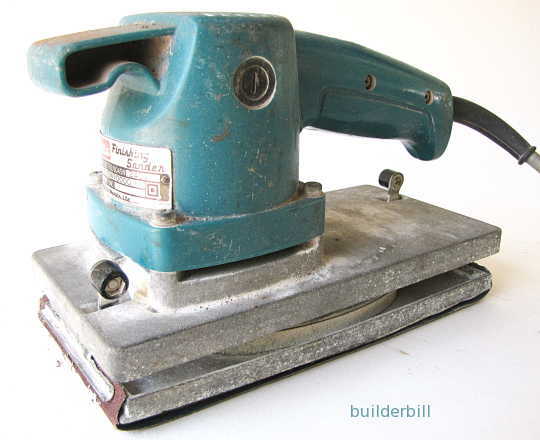 The sander above uses half of a standard sized sheet of sandpaper, which means that the paper is not only economical but it is available in a huge range of grades and types. At the right is a detail of the clamping mechanism that holds the sheets in place. It is essential to get the sheet as tight as possible to avoid unnecessary damage to the sandpaper. A nicely tight sheet of paper transmits all the power of the machine to the surface being worked. Slack or loose paper does not. What is seen here is another degree of refinement in the finish sanding area. 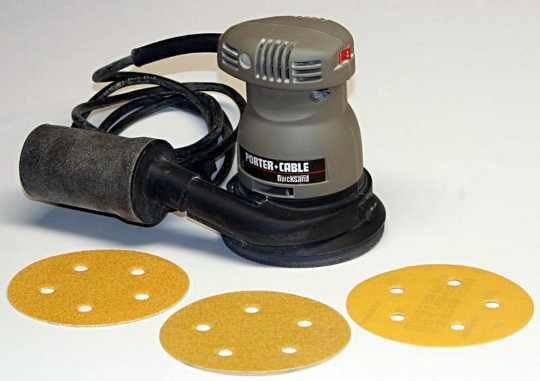 These Random Orbit Sanders Like all sanding tools these days have the dust catching filter, but because of the fine dust produced they are sometimes referred to as micro filters. Many of the models in this category come with variable speeds from 5,000 orbits per minute to 12,000. They take a variety of stick on sanding disks. Bosch produce a range of these sanders and the pex models are dual purpose sander polishers that can work on random or circular orbits. They are multi-speed ranging up to 24,000 orbit per minute.